Munoz: More regions translate to more people in the field. 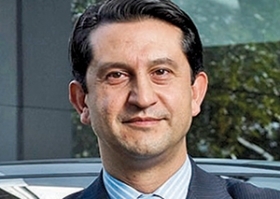 NASHVILLE -- Nissan North America Chairman Jose Munoz continues to put more power into the rising brand’s U.S. field organization, adding personnel to react faster to local dealer requests. This morning, Nissan appointed executives to staff seven U.S. regions -- an increase from its traditional five-region structure. The automaker expects to announce the head of a new eighth sales region in the near future. The company’s strategy is to give its regional offices more decision-making power on local sales opportunities. More regions translate to more people in the field, and to smaller geographic territories that will let managers focus more closely on fewer markets, says David Reuter, the company’s chief North American spokesman. Munoz announced that Anne Corrao, currently Nissan’s director of sales operations, will become regional vice president of the existing West Region, filling an open position. Mike Rocco, the regional operations manager for Nissan’s Central Region has been promoted to regional vice president of a new Mid-Atlantic Region office. Josh Batie, currently area general manager of the company’s Midwest Region, was promoted to regional vice president of the newly created Northwest Region office. Another new regional office is being created for the Mountain Region, and its leading executive will be named later. The locations for the three new regional centers have not been finalized. All regional vice presidents will report to Fred Diaz, Nissan senior vice president for U.S. sales, marketing and operations. The appointments, effective April 1, were announced along with several other management changes at Nissan, which traditionally come near the March 31 end of its fiscal year. Two other appointments are intended to step up Nissan’s results in aftermarket sales. Pietro Berardi, currently Nissan’s vice president for new business and aftersales strategy, was named vice president for North American aftersales, reporting directly to the chairman’s office. Munoz promoted Wally Burchfield, the director of human resources for sales and marketing, administration and finance, to vice president of aftersales, reporting to Diaz and to Berardi. Dave Mazur, currently vice president for market intelligence and regional revenue optimization, has been named vice president for customer quality, and chief customer officer for North America, succeeding longtime Nissan executive John Spoon. The change will take effect on July 2, following Spoon’s retirement after 28 years with the company. Mazur will report to Scott Becker, senior vice president of administration and finance, on market intelligence matters, to Diaz on customer quality operations, and to Munoz as chief customer officer. Claudia Marquez has been named to a newly created position of senior director for Infiniti sales operations. She previously was marketing director for Nissan Mexico. Jeff Pope, who has been director of Infiniti sales operations in North America, has been promoted to director of Infiniti global sales operations, based in Hong Kong.